CPL. 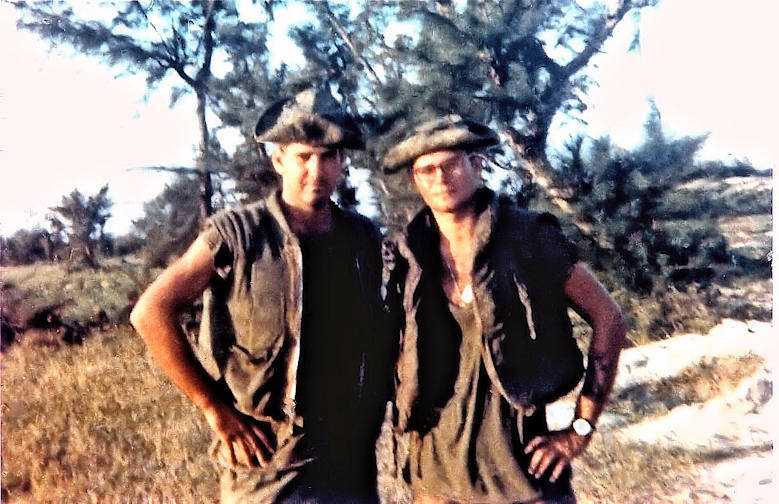 Marshall Lee Calender served in Vietnam with Kilo 3/26 as a second platoon squad leader. Lee was an excellent Marine and fearless warrior. He was killed in action on February 27, 1969 as his unit was ambushed by machine gun fire while on patrol. 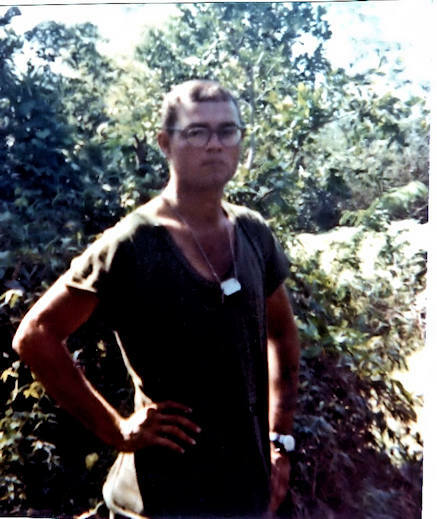 Lee was from Rockford, Alabama, and like many fellow Marines, had plans to return home and go to college. He wanted to attend The University of Auburn in his home state. Lee was my best friend and I still miss him after 40 years. May God bless his soul. Lee's name can be found on the Vietnam Memorial Wall in Washington, D.C. on panel 31W, line 077. 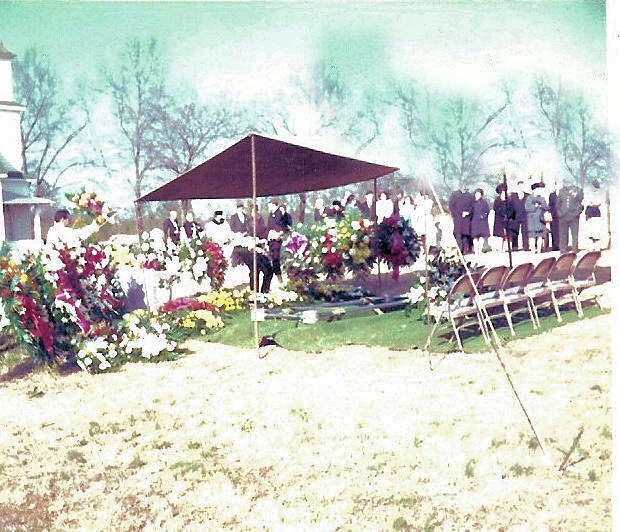 GUESTS WAITING TO BE SEATED AT MARSHALL (LEE) CALENDER'S FUNERAL IN FIRST PART OF MARCH 1969. 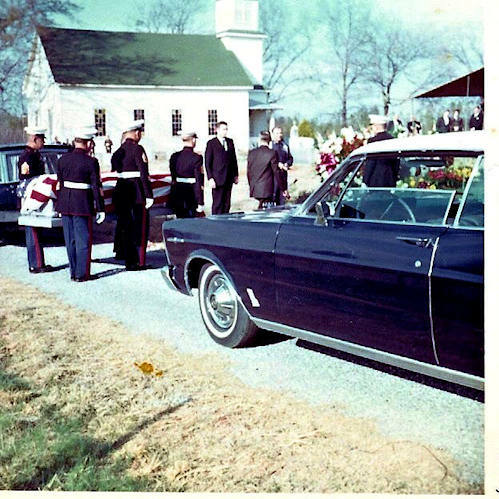 HE WAS LAID TO REST IN HIS SMALL HOMETOWN OF ROCKFORD, ALABAMA. U. S. MARINE CASKET BEARERS ARRIVE. 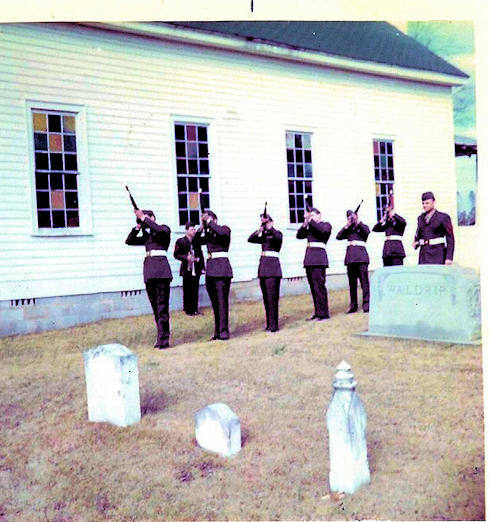 U. S. MARINE HONOR GUARD FIRES THREE VOLLEYS IN HONOR OF MARSHALL.